Feel free to comment, “Where is Radhika Apte?” if you need to let it out of your system one last time. Radhika was seen in Netflix’ Sacred Games as Anjali Mathur, as Kalindi in Lust Stories and recently, she also got featured as Nida Rahim in Ghoul. She proved her capability whenever she was given a project to work on. However, the funny people on the internet just can’t stop taking a dig over Radhika’s back-to-back Netflix appearances. Not only this, but they have found their way around the message and have asked now ‘Where is Sacred Games 2?’, ‘Where is Vicky Kaushal?’ and so on. 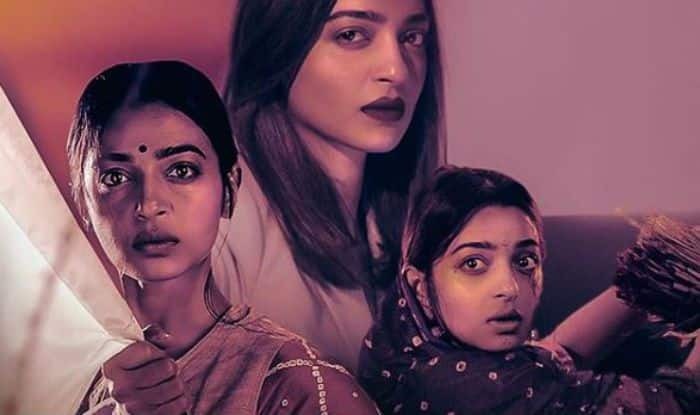 After getting trolled, Radhika Apte herself teamed up with Netflix but to release a spoof video, Omnipresent, taking a dig at herself. Netflix India, known for its strong Twitter game, released the video on the microblogging site and didn’t disappoint the users. Radhika made this poster herself. But Netflix didn’t stop there, they also released a poster of the Radlix Original Film, Omnipresent, that stars Radhika Apte (obviously).